Ten years of WordPress, wow! I started a simple tech blog as a hobby using WordPress 2.6 over five years ago. Today I work on some of the largest WordPress instances in the world, I write plugins and themes, and contribute to WordPress Core. WordPress has changed my life. I’m co-organizing a WordPress anniversary meetup tonight here in Moscow. We’ll be looking through some of the WordPress releases, and maybe peek into b2. We’ll also talk about translating WordPress themes and plugins into Russian, so come join us if you’re in town. The Moscow WordPress Meetup is this Saturday. If you’re in Moscow, come join us for a few hours of geek talk about WordPress. We have several presentations scheduled, as well as good coffee, stickers and buttons. Despite the Moscow weather recently, I feel that Saturday will be a great day. The fourth WordPress Meetup in Moscow was held this Saturday and was quite a success. We had fun conversations and discussions about internationalization and localization in WordPress. We talked about some of the cool stuff at WordPress.com and gave away some Custom Design upgrades. We talked about how non-standard things can be done with WordPress, even crazy stuff, like a search engine, and finally, we had quite a scary tech talk on WP_Query which the majority of the audience seemed to understand. Stay tuned for the announcement of the next WordPress meetup in July! The third WordPress Meetup in Moscow will be held on Saturday, May 19th. Topics will include WordPress 3.4, HyperDB, an intro to GPL, and others, obviously in Russian. Tune in, and invite your friends! You might be wondering why there haven’t been much posts here lately, well that’s the bad news. The good news is that I’m at a team meetup in Playa del Carmen, Mexico. It took me 20 hours to get here, from Moscow to London to Miami to Cancun, but it was totally worth the effort! The weather is super awesome, especially compared to Moscow at this time of the year, and the best part is that it’s not over yet. 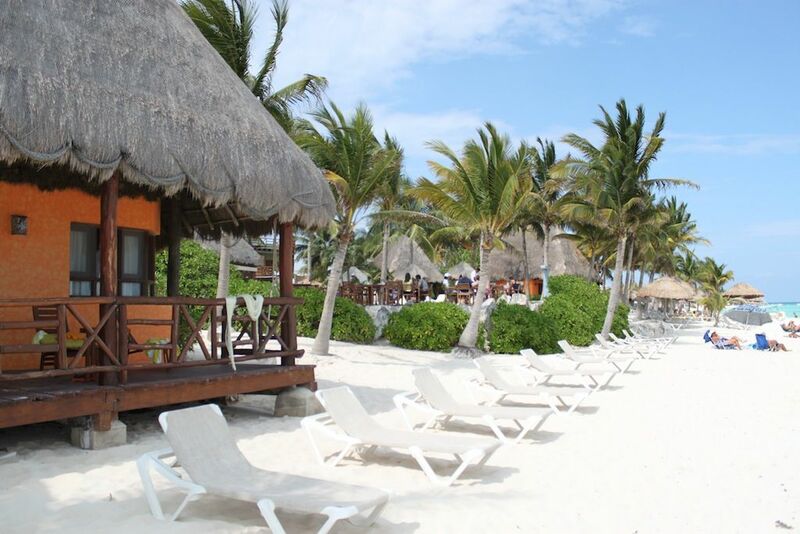 We’re heading for another two days to Tulum which is south from Playa del Carmen, and we’re staying in a hut, similar to the one in the photo above.